I rarely miss a concert with a really big and really obscure piece of music. 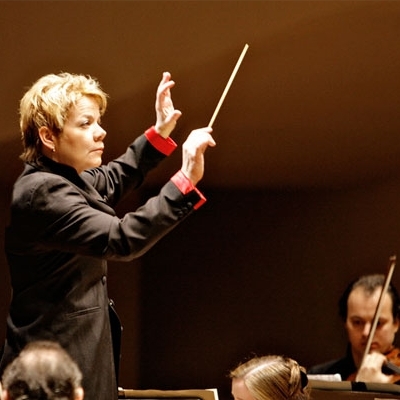 Naturally I went to see Marin Alsop conduct Honegger’s Jeanne d’Arc au bûcher, and I wrote about it for Bachtrack. Carnegie Hall on Saturday night. Addendum: It’s a peculiar work and I’m not sure if I’m really inside the style yet, but I’m glad that I heard it. I’m reluctant to pass strong aesthetic judgement on it because I don’t have a very firm grasp on Honegger in general, but I’m inclined to put it more in the category of intriguing curiosity than important rediscovery. According to this from the Baltimore City Paper, the orchestra-overpowering chorus was around 120 strong.